Much has been made of the absence of Emily Blunt in this sequel to Denis Villeneuve’s 2015 drama. Truth be told, she is no longer necessary as a naïve moral force in this altogether more cynical follow-up penned by the master of the contemporary Western (Hell or High Water and Wind River), Taylor Sheridan. If the first movie focused on the drugs trade across the border, and the response of the United States to the Mexican cartels that facilitated the illicit flow of white powder, Soldado is concerned with the flood of illegal immigrants, a very Trumpian topic these days. Initially, the movie seems to be about Islamic terrorists spirited across the border by the Mexican cartels, but soon we realise this is a red herring. As the movie continues, it becomes clear there are no good guys either side of the border – everything’s a mess and the film offers little sympathy to the various victims caught in the crossfire. 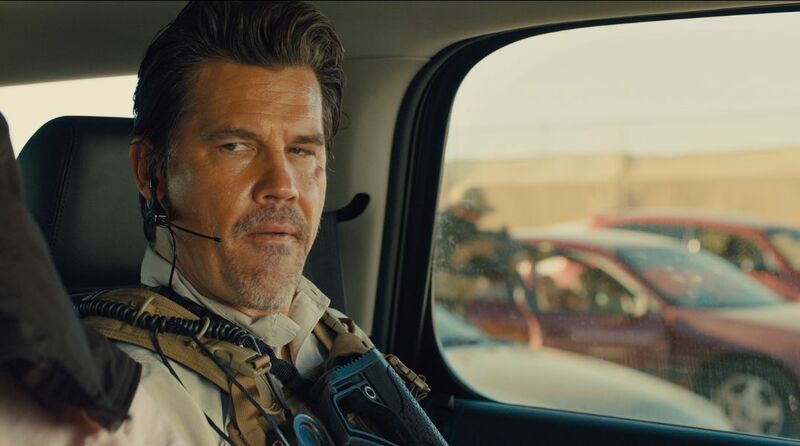 The tough as teak Josh Brolin returns in his role as a shadowy CIA operative, Matt Graver, ready and willing to do the dirty work that the US government requires when the dung hits the fan. This time he initiates a policy “which worked in Iraq” (irony intended) in which the opposition is defanged by being divided against itself. This involves an operation to kidnap the young daughter of a drug cartel boss, Isabel Reyes (Isabela Moner – terrific) and pretend that she has been grabbed by a rival cartel. Isabel’s dad, we are reminded, is the man who ordered the execution of the family of Sicario killer Alejandro (Benicio Del Toro), in the first movie. Alejandro is once more pressed into service for the Stars and Stripes, and it is no surprise when he and Isabel find themselves isolated, and endangered, following cold-blooded decisions taken at government level. There’s also another strand of narrative in this sometimes complex tale involving a Mexican teenager, Miguel (Elijah Rodriguez, also terrific), with family on both sides of the border who gets involved in human trafficking. Gradually we see how his story links up with the movie’s main current. Soldado is illuminated by spot-on direction by Stefano Sollima, a darkly ominous, throbbing score by Hildur Gudnadottir and excellent performances all round. Sheridan’s screenplay, which traces the profile of a genre thriller, operates at a deeper level as well, suggesting a deeply cynical assessment of the all-round human condition. It's a relief to know, however, that there are some lingering traces of humanity on display. Alejandro and Graver may be killers, but buried beneath their layers of ruthlessness is a sometimes tenuous ethical code. We discover that they are protectors as well as predators. Fans of the franchise will be delighted to know that if Hollywood economics allows it, there is every chance of a third episode to this intelligent, exciting and exceedingly brutal tale of modern-day realpolitik.